Year 2 have had a fantastic morning working with a special visitor, Leigh, who came in to work on a section of Romeo and Juliet with us. 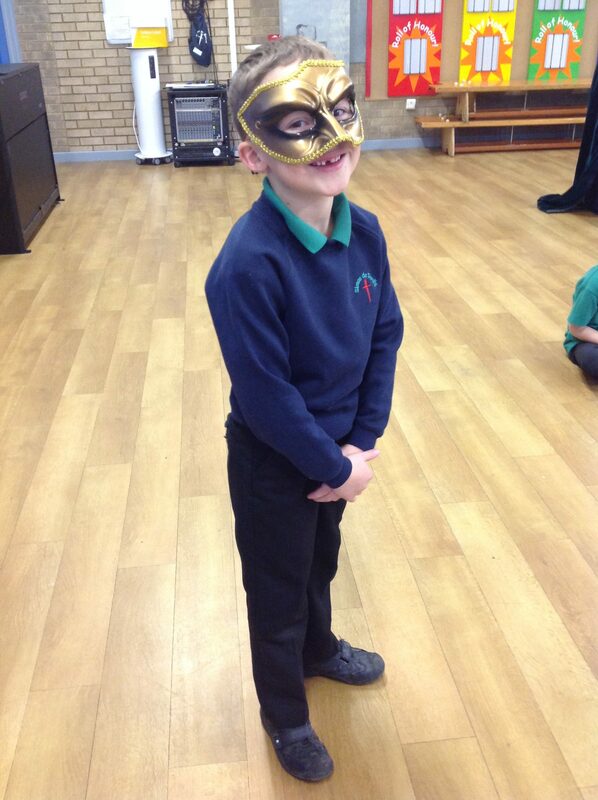 As we had enjoyed learning and writing about the ballroom scene, he brought the ballroom to us! Earlier this week, we made and decorated masks to take with us as we had already received an invitation inviting us to attend. There were some beautiful masks created and they were a sight to see in our ballroom. 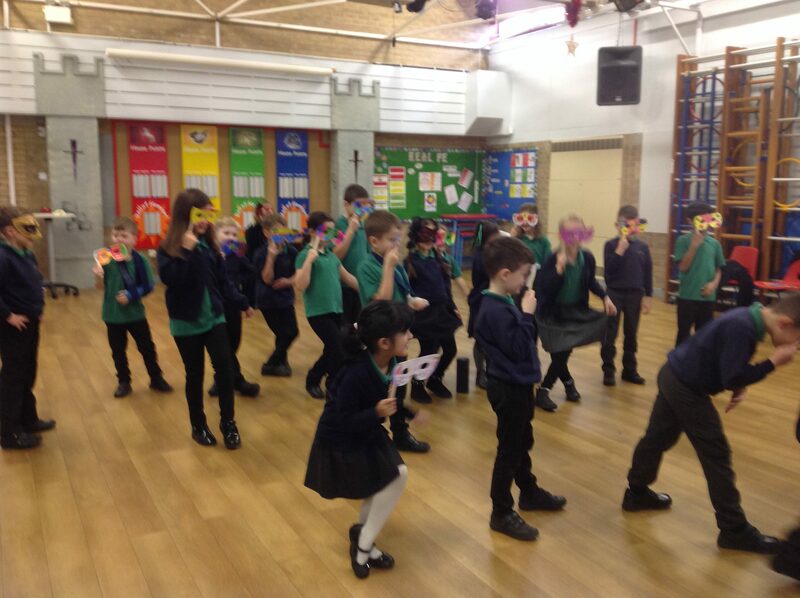 First, we practised stopping and moving around the hall using the whole space around us, then music was introduced where we had to bounce on the beat and walk carefully to the music and finally we added some characters. 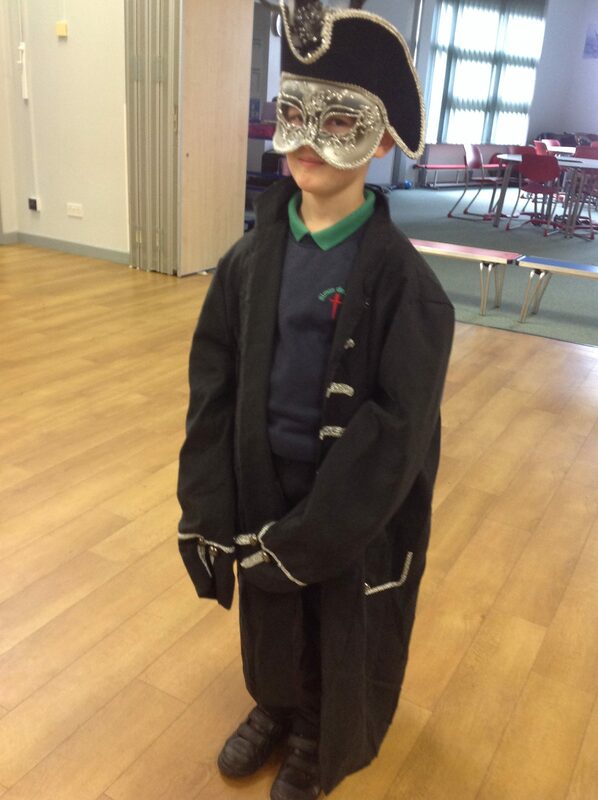 Some children took on the roles as Romeo, Juliet, Tybalt, Lord and Lady Capulet, Benvolio and Mercutio. 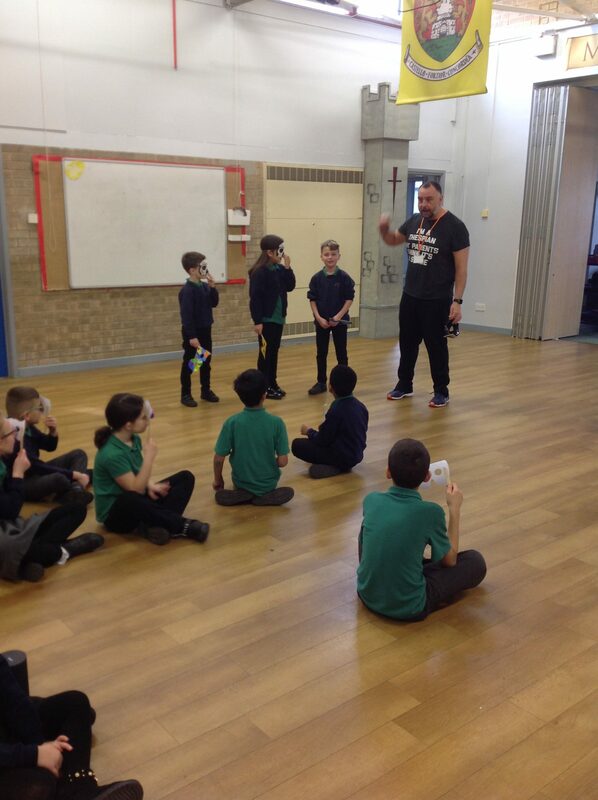 Leigh encouraged us to the the actual words from the play and we spoke clearly in Shakespearean language – a challenge that we all took on well. After lots of practise and introducing certain sentences and movements carefully, our performance came together like a jigsaw and we then performed the scene all in one go. 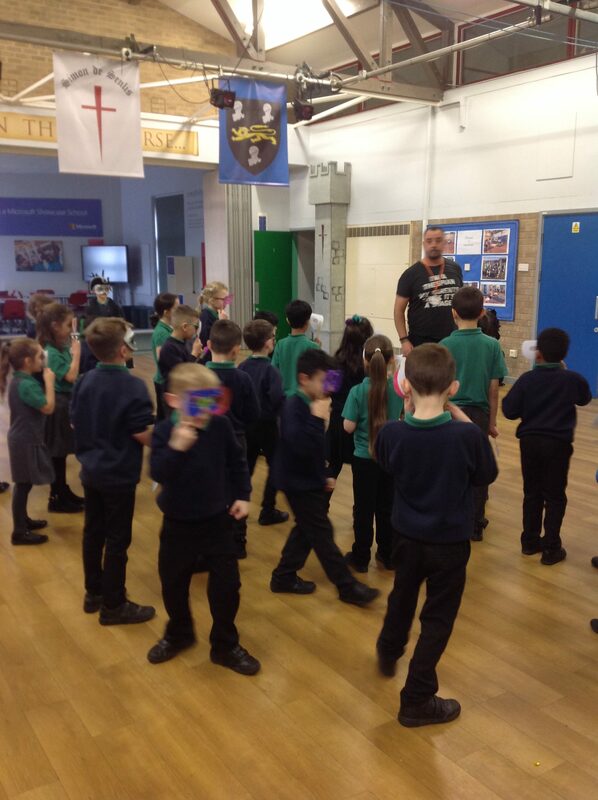 It was a fantastic experience and the children loved it! We will have the video playing at our showcase event at the end of term for all to see. Here are some of the children’s responses. Thank you for having us Leigh! I loved it when I was Juliet! 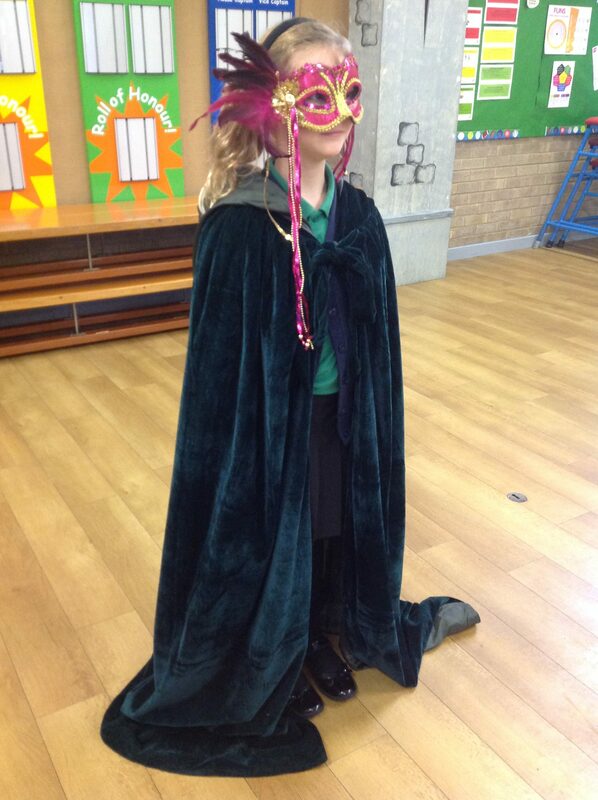 I liked being Lady Capulet. I liked when I kicked Benvolio and Mercutio out of the party! I loved every single bit. 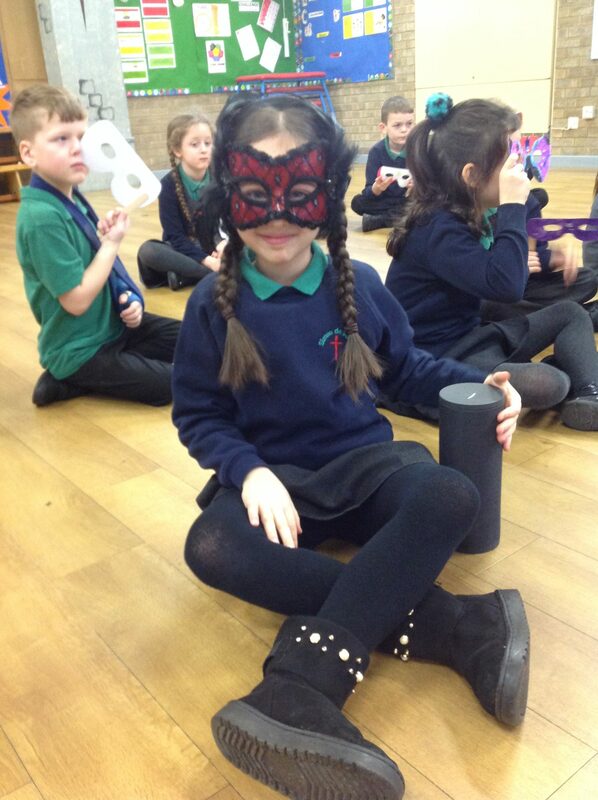 I liked wearing our masks and dancing to the music. Please can you come back Leigh! This is brilliant to hear, he has definitely loved every part of our drama and writing unit. I’m sure you’ll be impressed with his writing too!